Kim has worked extensively with children, young people and adults therapeutically, psycho-educationally, psycho-spiritually and as a trainer; individually and in groups. Transpersonal psychology underpins many elements of the work that she does, both in her private practice and in various educational settings. In her role as Director of Training and QA at the charity Teens and Toddlers, the transpersonal approach, combined with positive psychology underpins the curriculum for the young people they serve and is an overt element of the facilitator/youth work training. 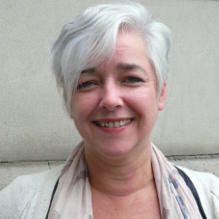 She also works with WYSE International as a facilitator / trainer and has supported their post programme coaching. Kim has a published case study in Diana Whitmore's book Psychosynthesis Counselling in Action. Her particular areas of interest lie in working consciously to support unfoldment and evolvement. She has a fundamental interest in group dynamics, unity in difference, neuroscience, and in supporting the evolvement of the individual within the group.